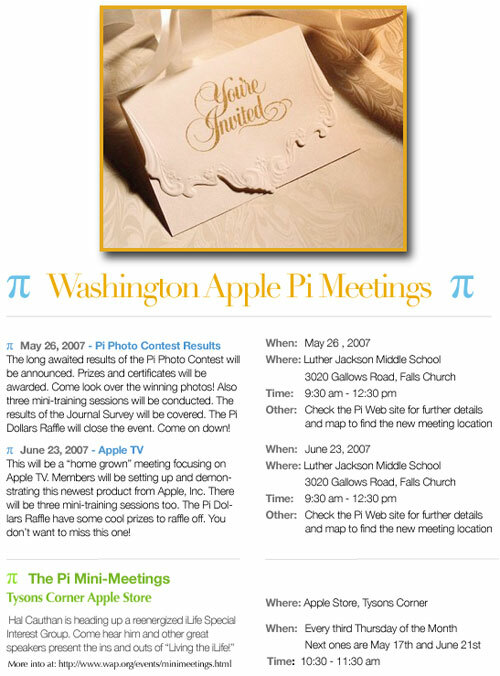 Washington Apple Pi's June 2007 General Meeting will be in a new location: Luther Jackson Middle School, 3030 Gallows Road, Falls Church, Virginia. 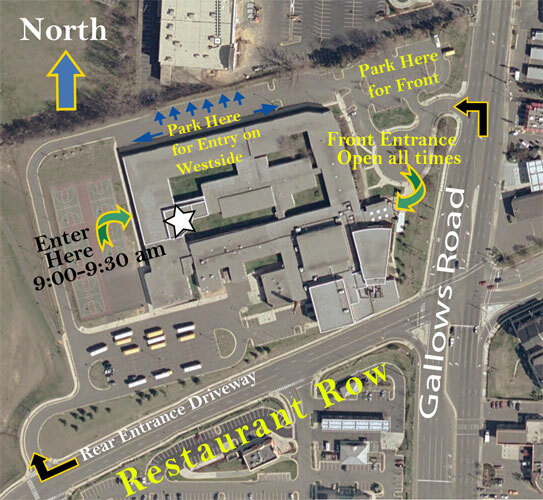 Directions below. Apple TV is more than iPod for television. It can organize and deliver all varieties of iTunes digital media including music, video, digital images, TV shows, movie trailers, and podcasts. To learn how to convert other standard formats into the Apple TV formats, including how to choose appropriate compression formats for your musical slide shows and movies, visit Washington Apple Pi general meeting at Luther Jackson Middle School on June 23, at 9:30 a.m.
"In the 1950’s, families gathered around small black and white television screens in large furniture cabinets for Alfred Hitchcock dramas, Milton Berle comedy sketches, and Lawrence Welk musical variety shows," stated Pat Fauquet, Washington Apple Pi Vice President of Programs. She continued, "Today, Apple TV is the family's vehicle for streaming media creations, adding music or digital movie/photos from sources other than the iTunes store. It is real fun to see what the young (and those young at heart) create when they think outside the cardboard box. What fun we have when the share their creations on Apple TV!" Meetings start with a Question and Answer session, followed by the featured presentation. The meeting continues with concurrent breakout special interest tutorial sessions. The group re-assembles in multipurpose room for a prize drawing, club announcements and adjournment at 12:30 p.m. Members and guests are invited to join Washington Apple Pi leadership for a buy-your-own lunch at a nearby eatery following the general meeting to continue Macintosh discussions. This month’s breakout session topics are more in-depth studies: "Preparing and Saving iLife Slideshows and Movies for Apple TV," and "Getting Non-iTunes Media ready for Apple TV." You don’t want to miss this one! Meeting poster in JPEG or PDF.